Colonne, Guido delle, active 13th century. Hier beghint Die hystorye vander destrucyen van Troyen, ca. 1500. 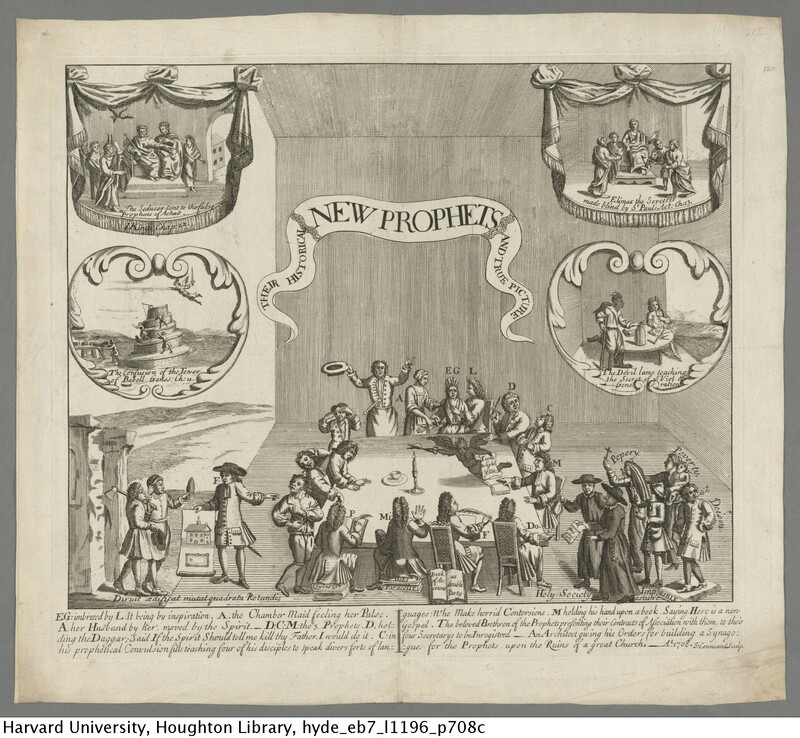 Conneand, S. New prophets : their historical and true picture, 1708. De liberis educandis. Magni oratoris Guarini Veronensis in Plutarchum de liberis educandis : manuscript, [between 1425 and 1450]. Emerson, Ralph Waldo, 1803-1882. 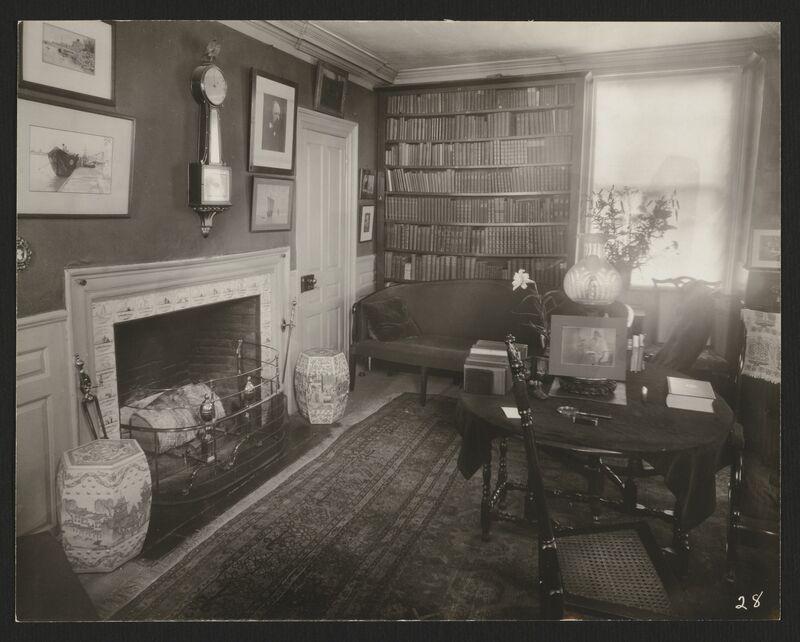 Ralph Waldo Emerson lectures and sermons, ca. 1831-1882. MS Am 1280.202 (12) Address at the Woman’s Rights Convention, Sept. 20 1855. 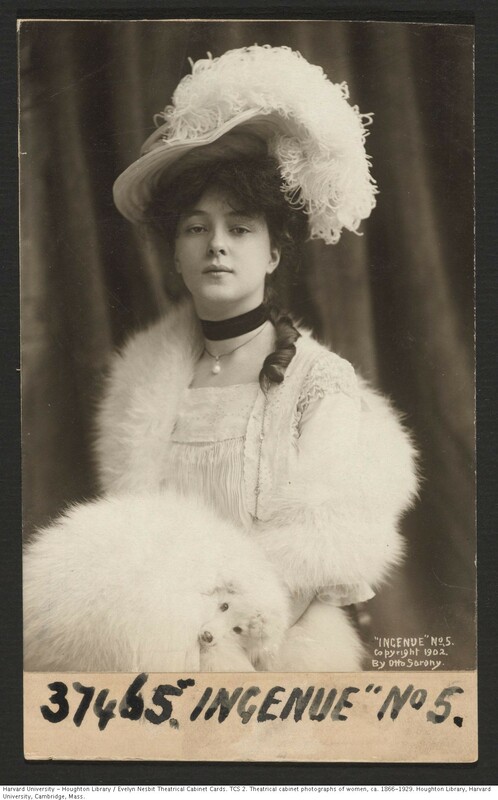 Evelyn Nesbit Theatrical Cabinet Cards. Herzl, Theodor, 1860-1904. Compagniearbeit : Lustspiel in einem Act. Wien : Wallishausser, 1880. Melville, Herman, 1819-1891. Battle-pieces and aspects of the war, 1866. A Memoir of Miss Bateman : being a brief chronicle of the early successes and later triumphs of the great American tragic artiste, 1863. Morselli, Adriano. Teodora Avgvsta, drama per musica da rappresentarsi nel Regal palazzo per lo compleaños del re nostro sig. Carlo II, 1692. Panizza, Giacomo, 1804-1860. 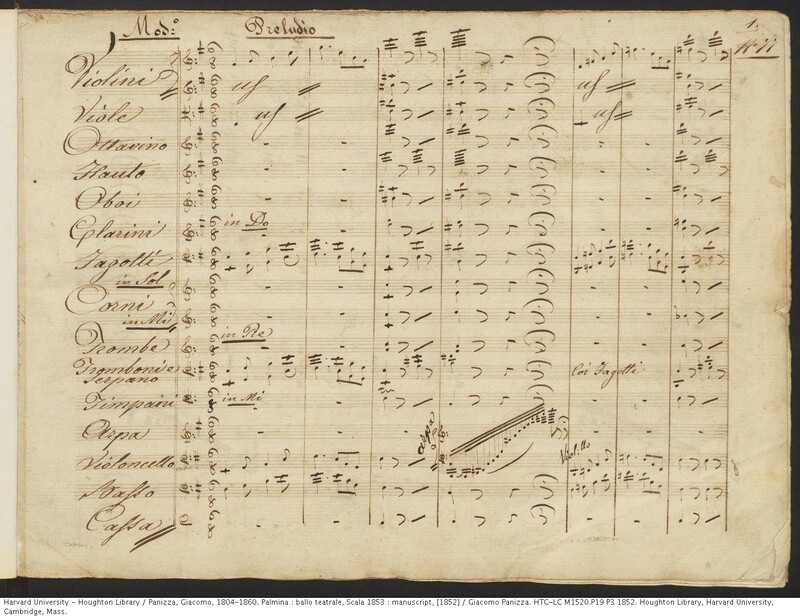 Palmina : ballo teatrale, Scala 1853 : manuscript, . Poe, Edgar Allan, 1809-1849. 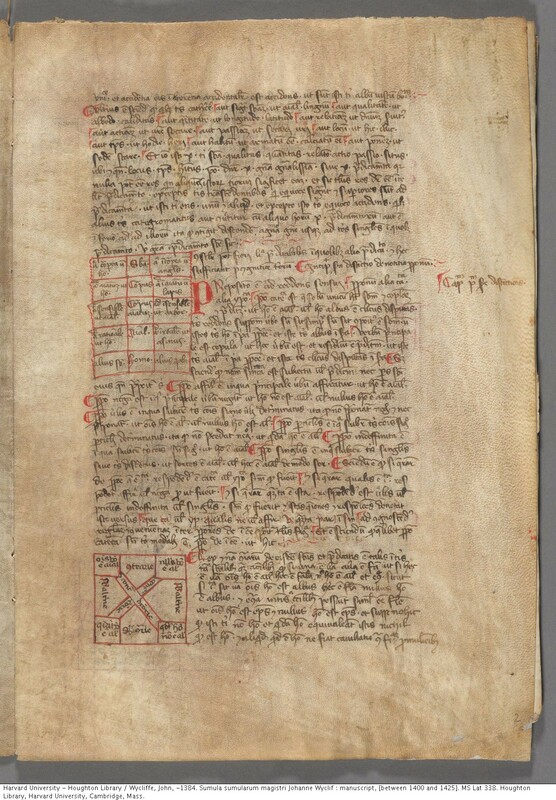 The rationale of verse : manuscript, [ca. 1848]. Pogibshīi︠a︡, no milyi︠a︡ sozdanii︠a︡, 1862-1863. Il Sancio : dramma per la musica rappresentato in occasione delle nozze de serenissimi Alfonso e Laura principi di Modana. In Modana : Per Bartolomeo Soliani, 1656. Selden, John, 1584-1654. The discourse of John Selden, Esq. : or his sense of various matters of weight & high consequence, relating especially to religion & state, distingue tempora : manuscript, 1679. Stevenson, Robert Louis, 1850-1894. Markheim : manuscript,  and . Tappan, Caroline Sturgis, 1819-1888. Autograph note-book “The Blue-bell Butterfly Book”, containing various poems. Boston, Nov 1840. Valla, Lorenzo, 1407-1457. Les menus propos fabuleux de Laurens Valle, enuoyez a son singulier amy Arnoult de Fouelle. 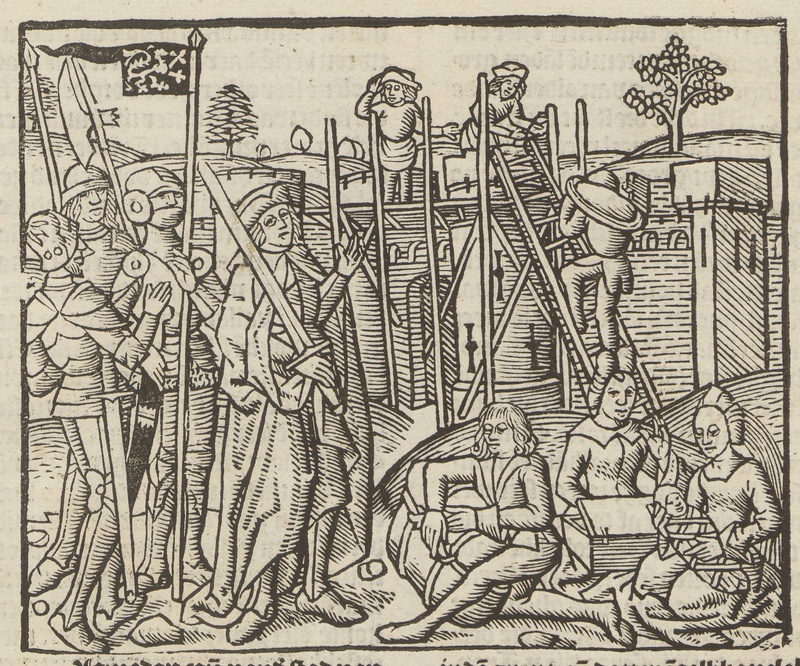 On les vend a Paris … : Par Alain Lotrian, 1542 [or 1543]. 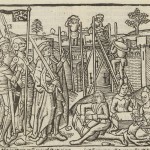 Wycliffe, John, -1384. Sumula sumularum magistri Johanne Wyclif : manuscript, [between 1400 and 1425].